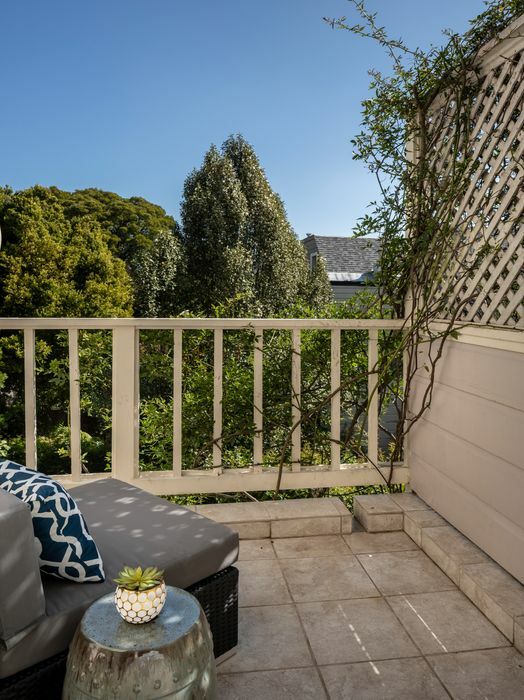 2410 Steiner St , San Francisco, CA 94115 | Sotheby's International Realty, Inc. 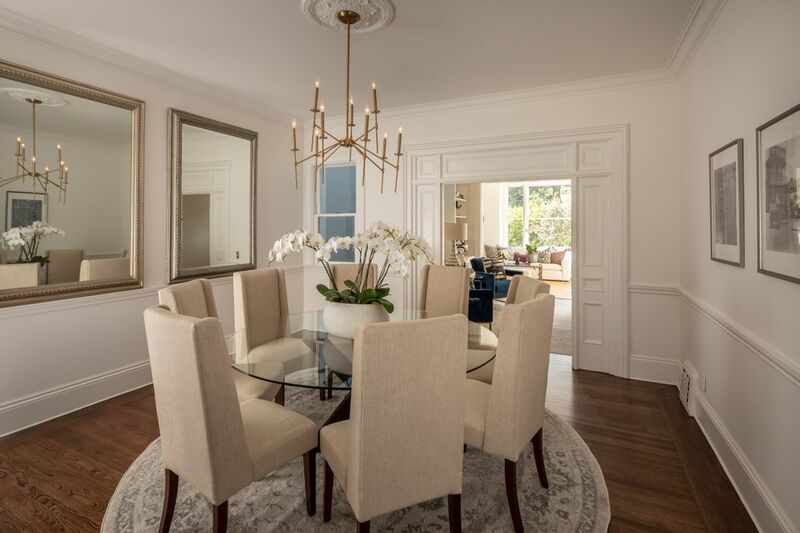 Elegant, Four-Bedroom Home Fronting Pacific Heights’ Alta Plaza. 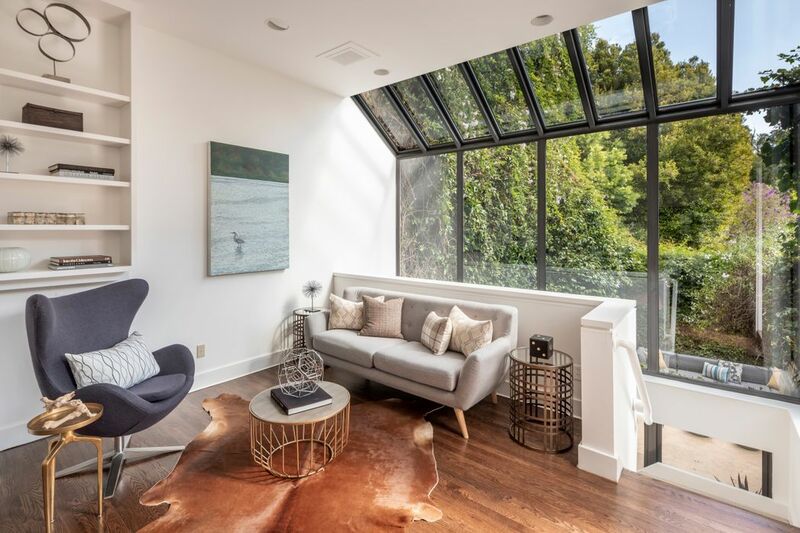 2410 Steiner’s stately charm resonates throughout three spacious levels offering generously-scaled entertaining rooms, traditional architectural details and abundant windows showcasing greenery of the Park and a lush, private Garden. 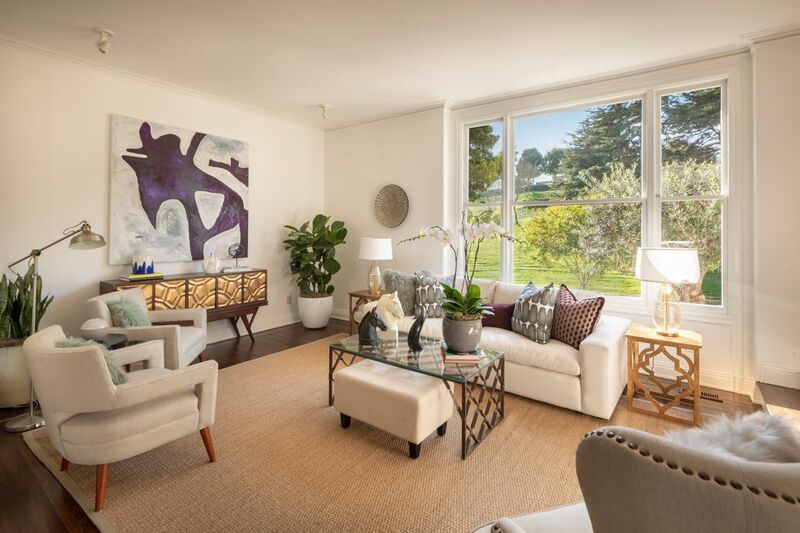 The Entertaining Level’s four welcoming spaces - Reception, Living Room, Formal Dining Room, and Kitchen Solarium - flow effortlessly with a continuous line of sight of Alta Plaza’s greenery from every room. 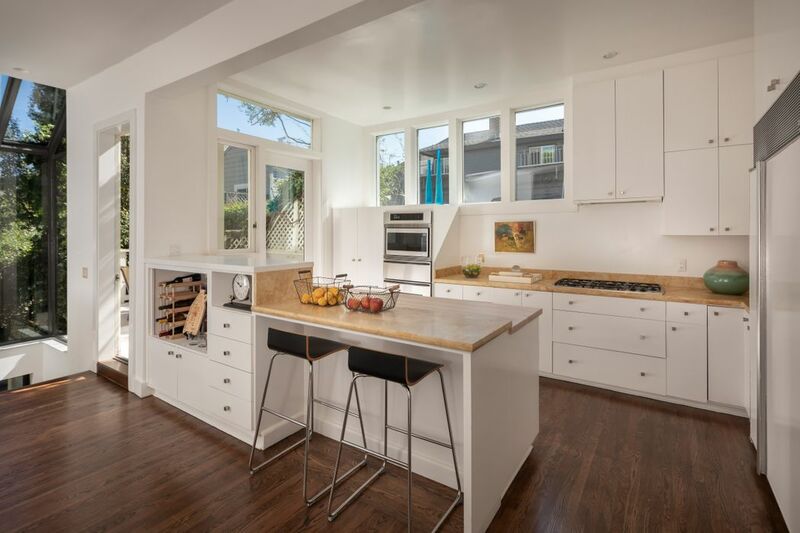 Interplays of natural light filter into the Kitchen and adjacent Family Area through the conservatory-like rear facade that overlooks the tranquil Garden, mirroring the verdant foliage of the Park. 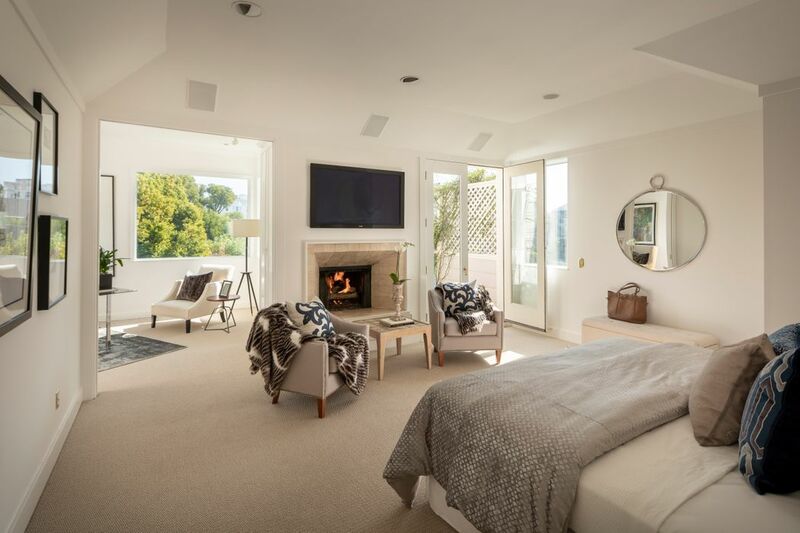 Atop the Bedroom Level, the Marvelous Master Suite features a fireplace, Study, Balcony, large Walk In and large windows with views to the Garden & neighborhood. 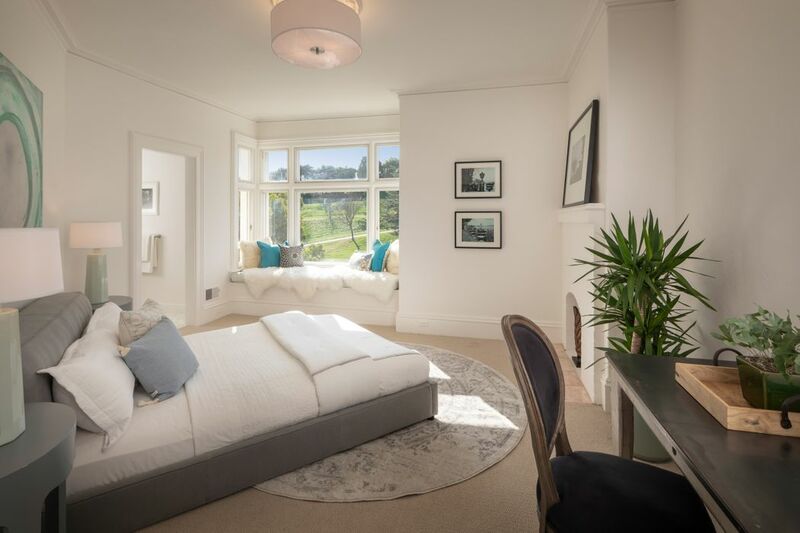 One Park-fronting Bedroom features a window-bench and a fireplace, sharing a Bath with a second Bedroom. 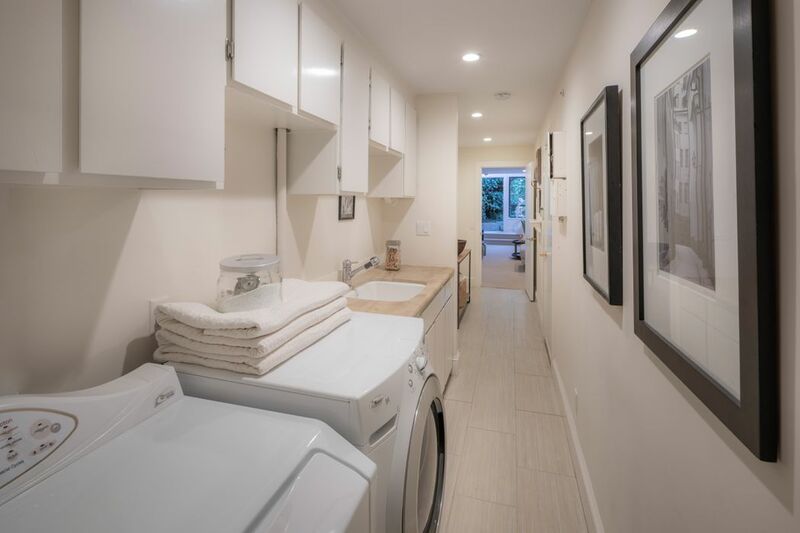 The Garden Level includes a Media/Family Room, en-suite Bedroom, Wine Cellar, Laundry and direct access to the two-car Garage. 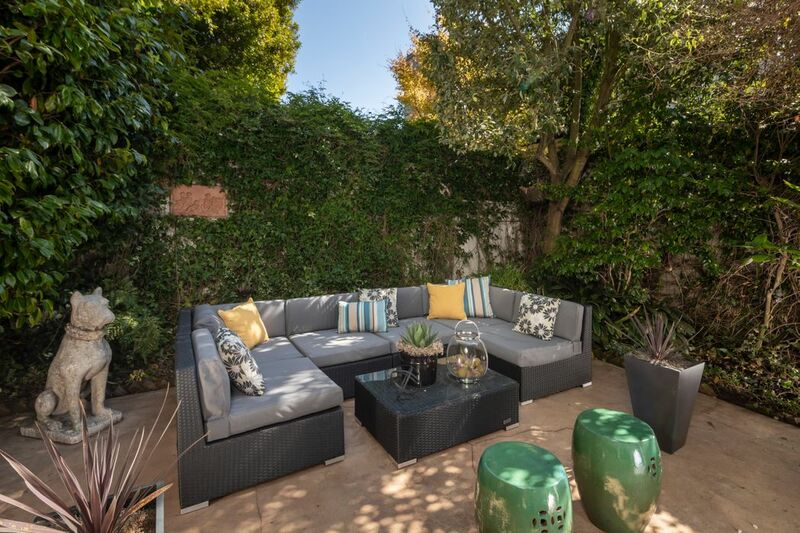 With its lush foliage, the tranquil Garden features high walls and a patio for peaceful enjoyment and lively entertaining. 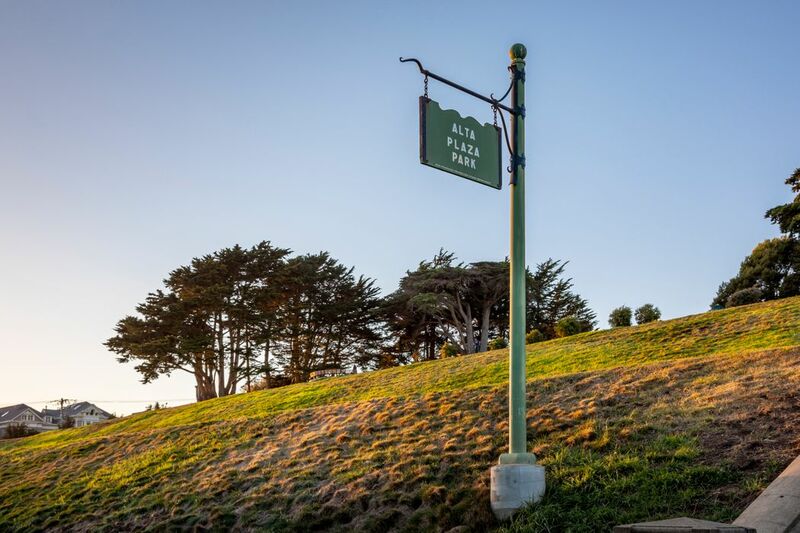 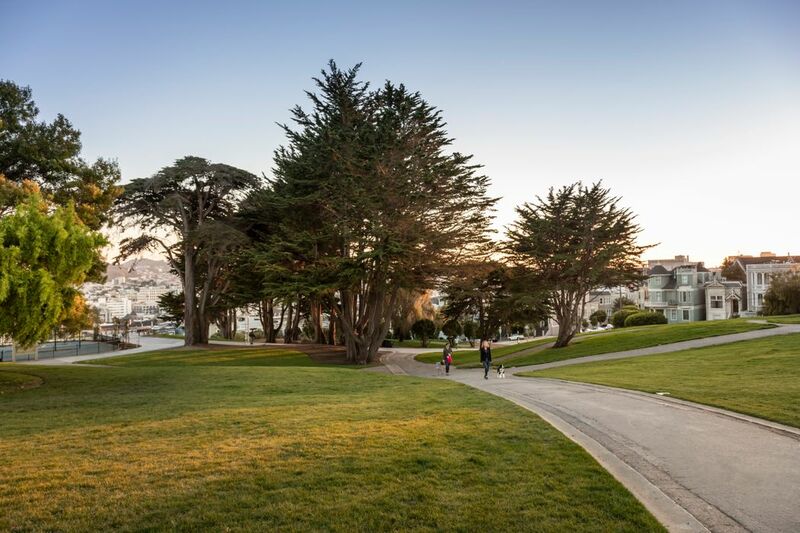 With front and rear facades showcasing dual greenery vista of greenery, stately 2410 Steiner is a once in a generation opportunity to own an Alta Plaza Park-fronting home. 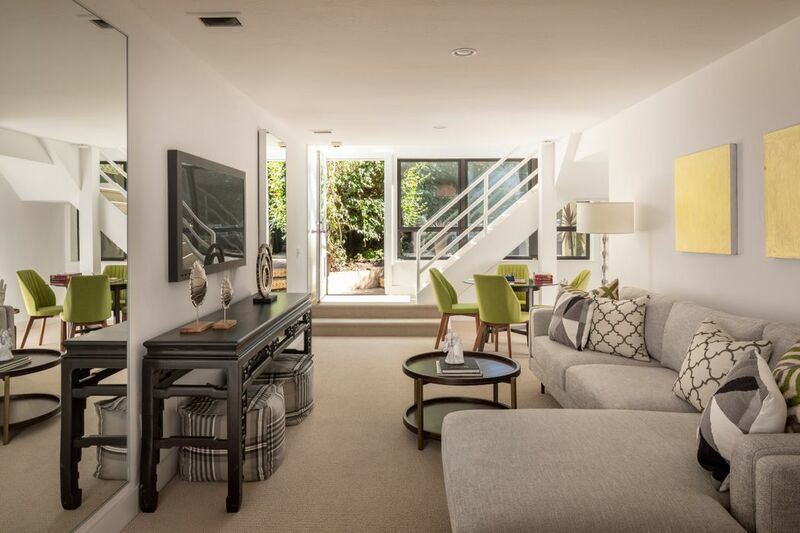 Ideally located just one short block to the shops and restaurants of Fillmore Street. 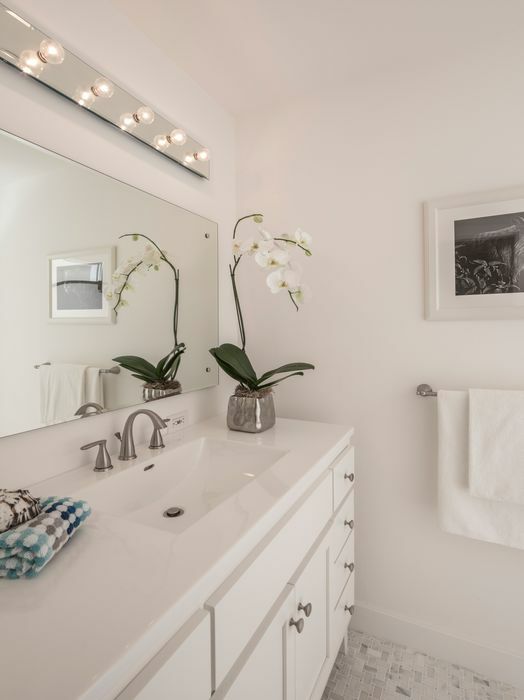 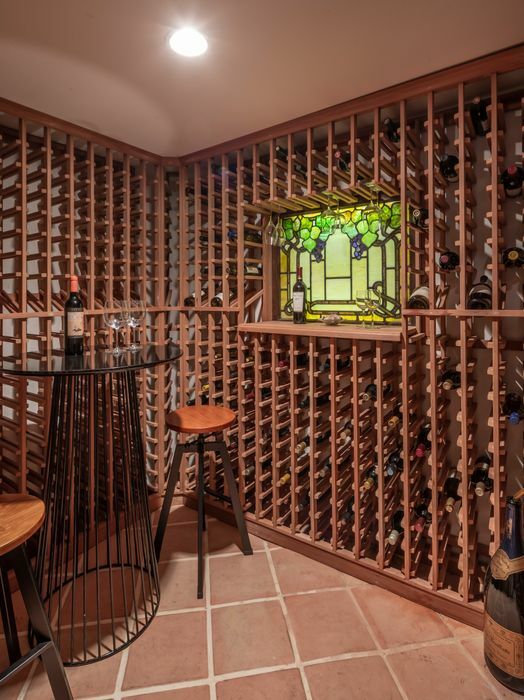 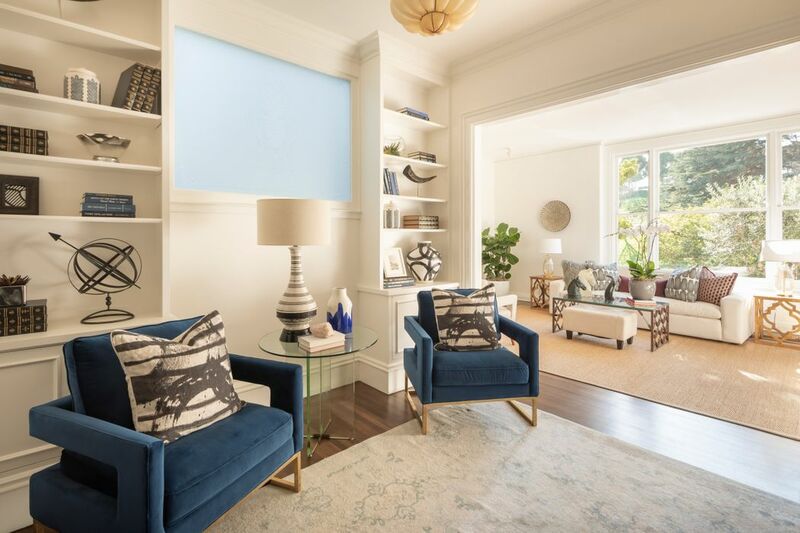 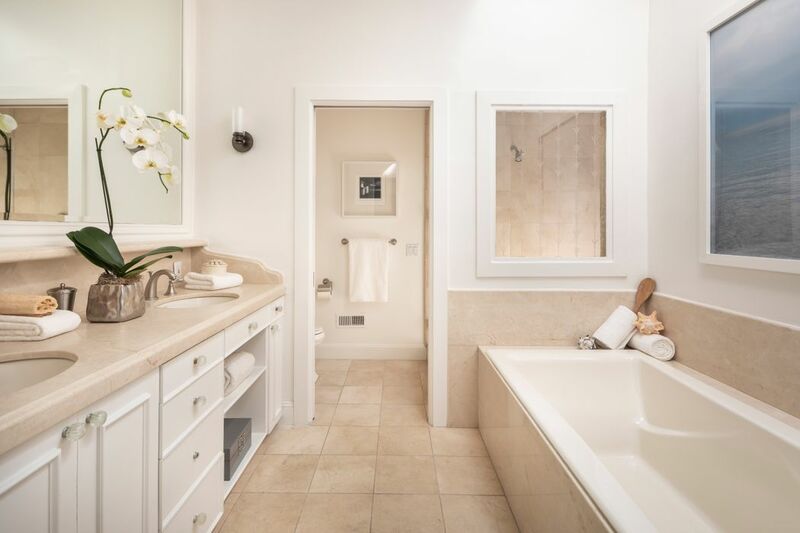 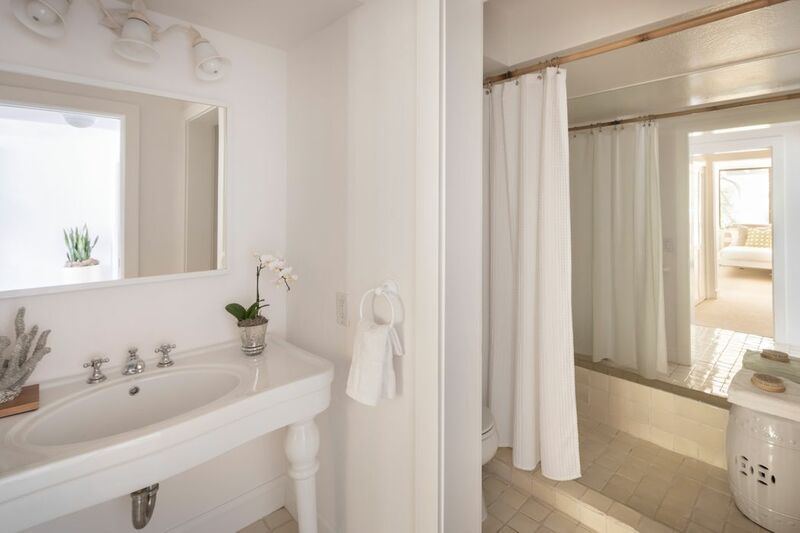 California Home + Design, "Open House Obsession: Lovely Home On Alta Vista Park, $5M"
Elegant, Four-Bedroom Home Fronting Pacific Heights’ Alta Plaza. 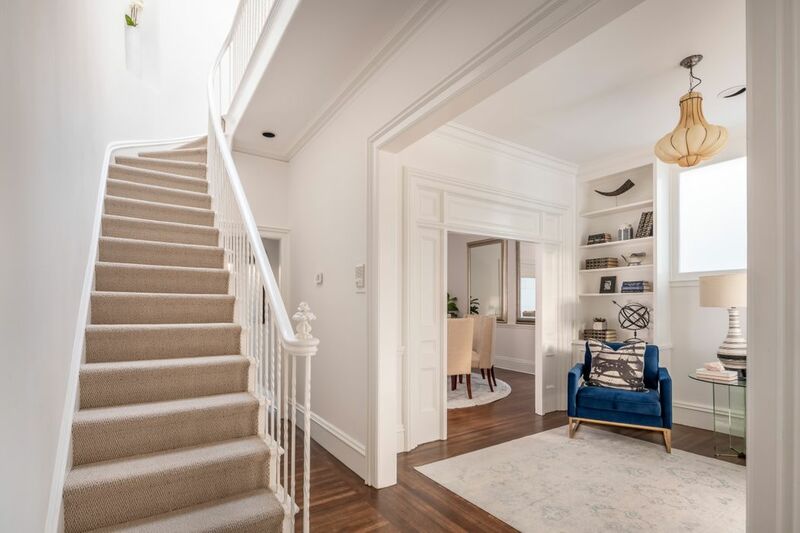 2410 Steiner’s stately charm resonates throughout three spacious levels offering generously-scaled entertaining rooms, traditional architectural details and abundant windows showcasing greenery of the Park and a lush, private Garden. 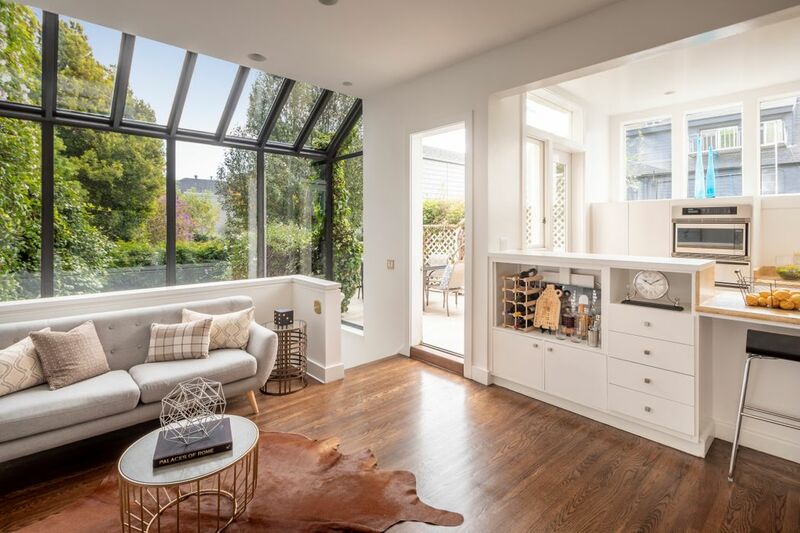 The Entertaining Level’s four welcoming spaces - Reception, Living Room, Formal Dining Room, and Kitchen Solarium - flow effortlessly with a continuous line of sight of Alta Plaza’s greenery from every room. 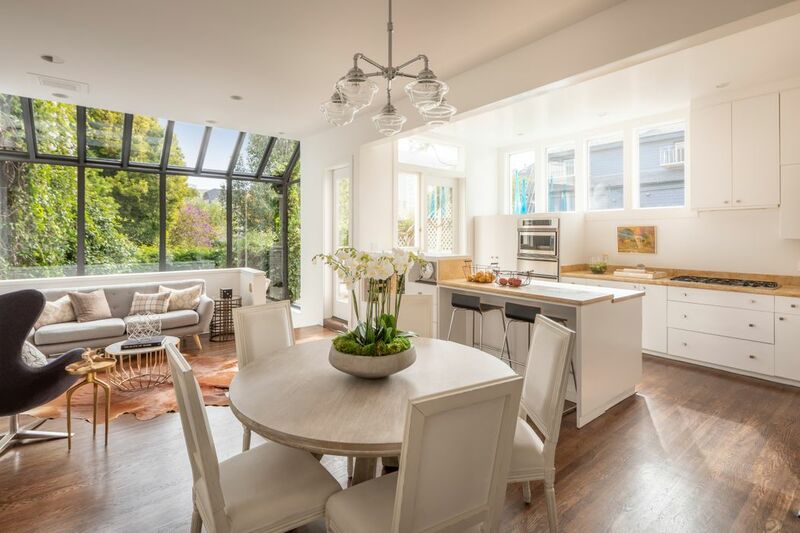 Interplays of natural light filter into the Kitchen and adjacent Family Area through the conservatory-like rear facade that overlooks the tranquil Garden, mirroring the verdant foliage of the Park. 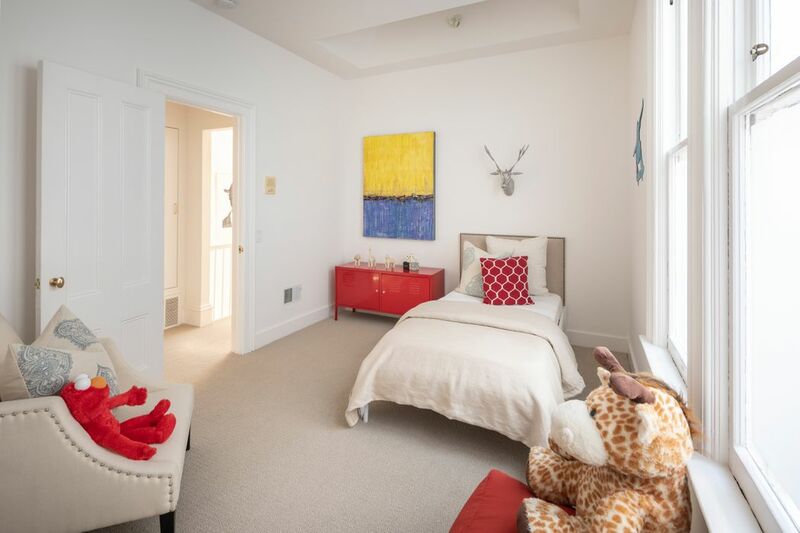 Atop the Bedroom Level, the Marvelous Master Suite features a fireplace, Study, Balcony, large Walk In and large windows with views to the Garden & neighborhood. 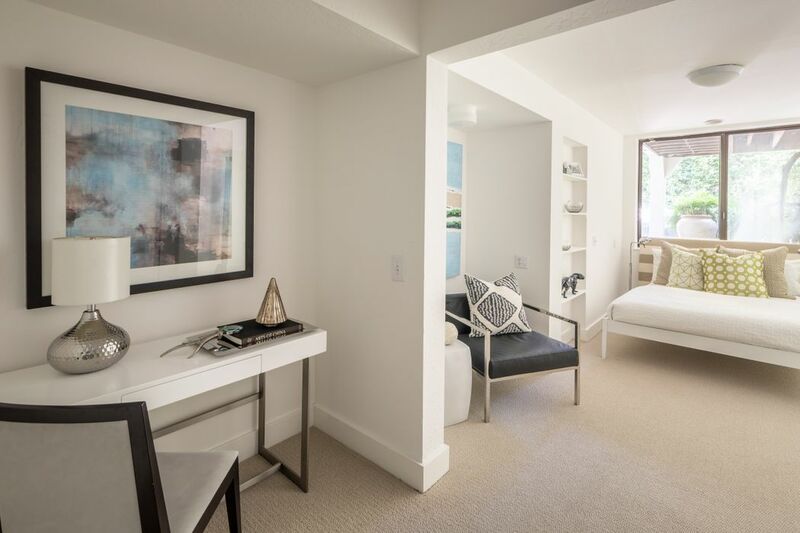 One Park-fronting Bedroom features a window-bench and a fireplace, sharing a Bath with a second Bedroom. 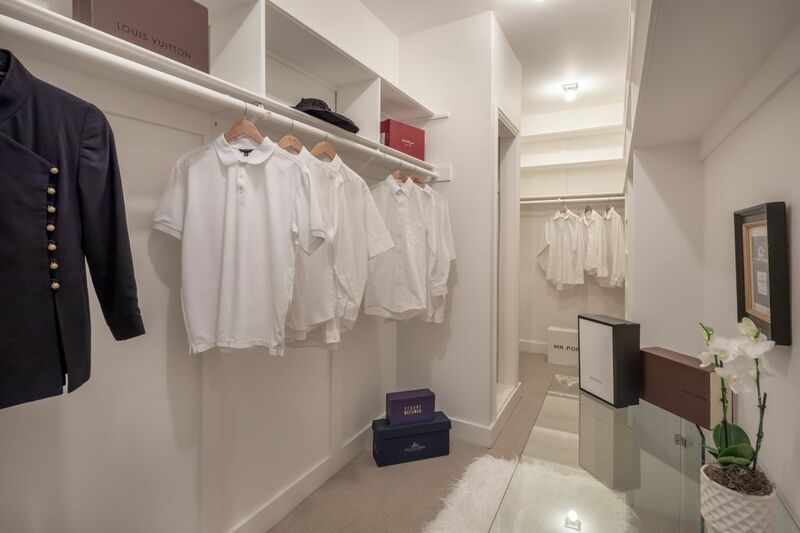 The Garden Level includes a Media/Family Room, en-suite Bedroom, Wine Cellar, Laundry and direct access to the two-car Garage. 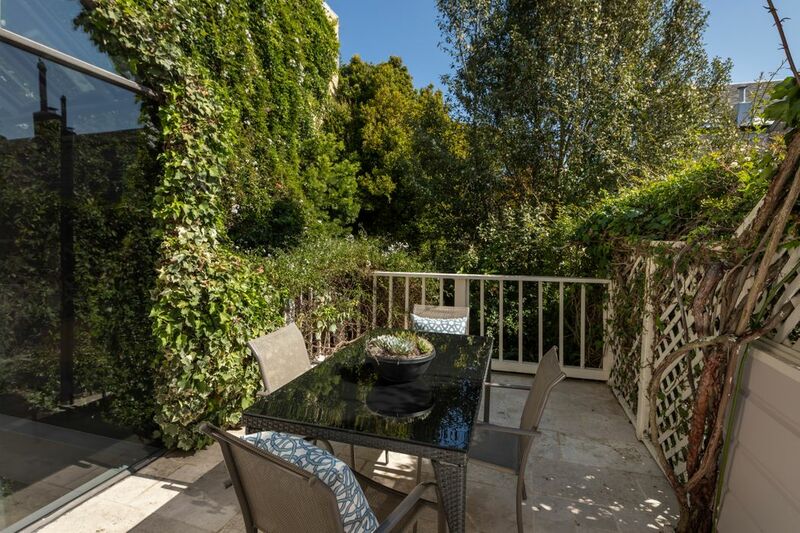 With its lush foliage, the tranquil Garden features high walls and a patio for peaceful enjoyment and lively entertaining. 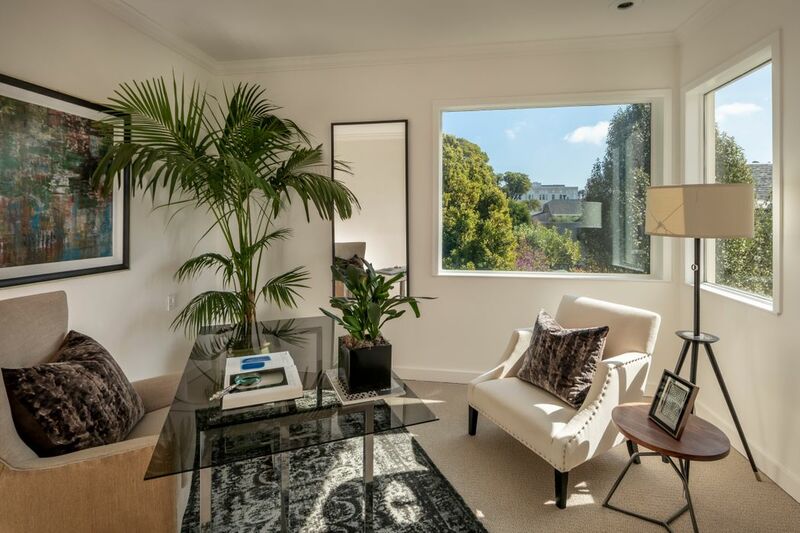 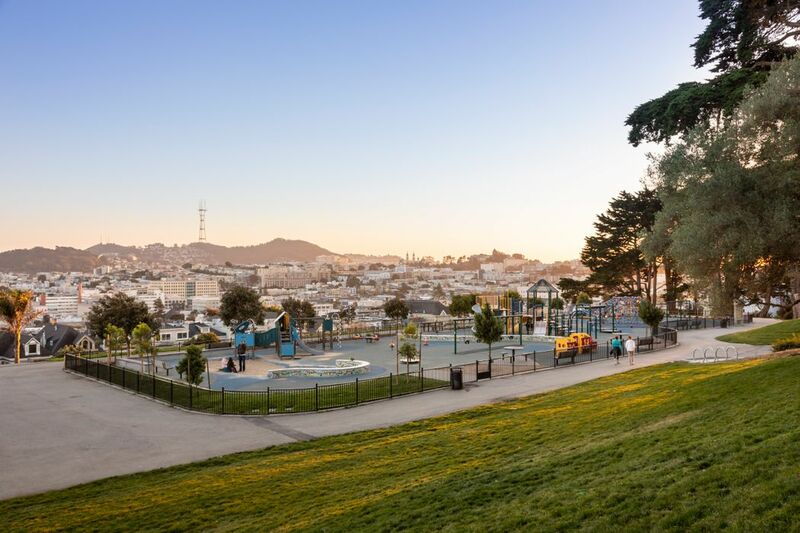 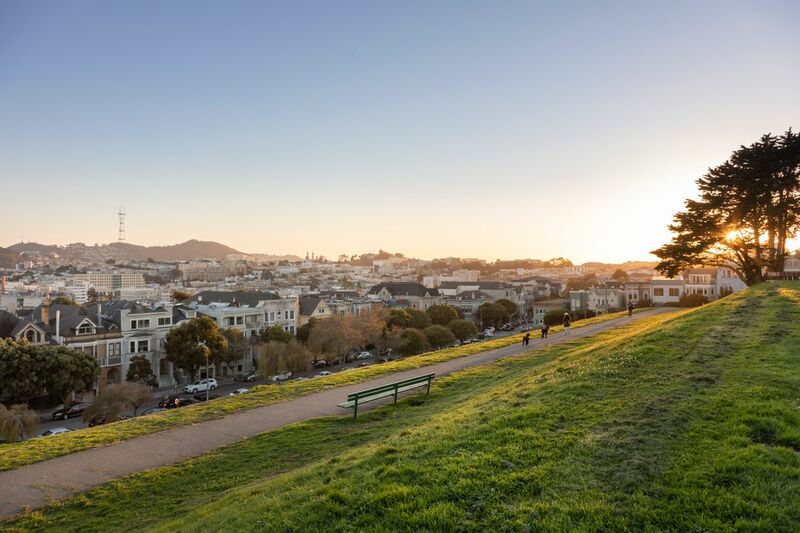 With front and rear facades showcasing dual greenery vista of greenery, stately 2410 Steiner is a once in a generation opportunity to own an Alta Plaza Park-fronting home. 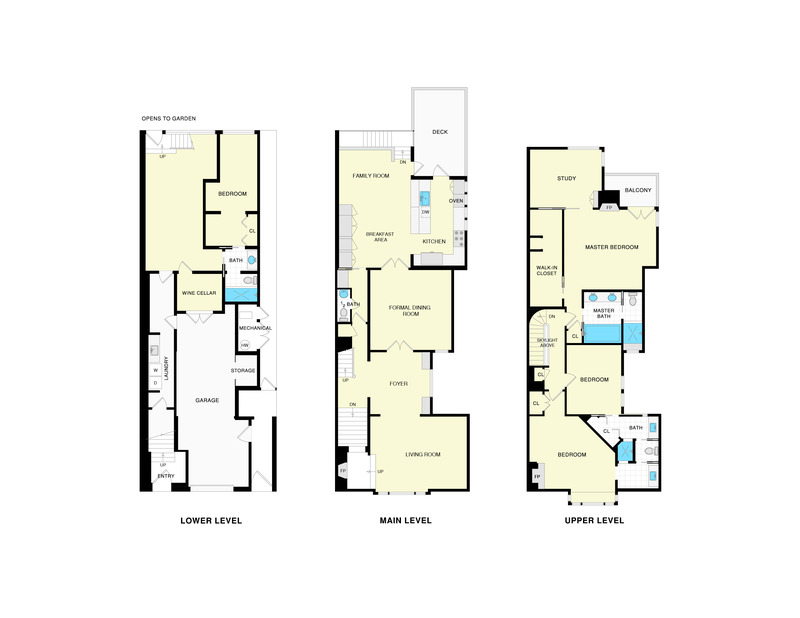 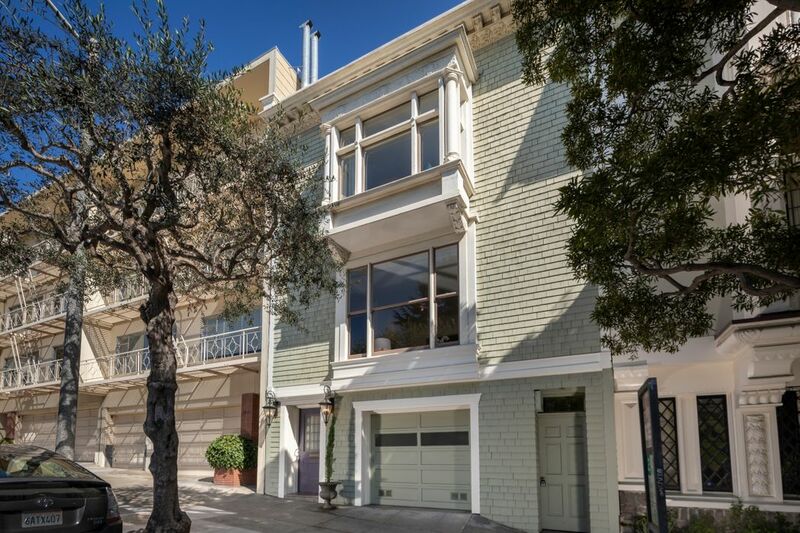 Ideally located just one short block to the shops and restaurants of Fillmore Street.